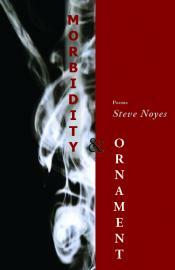 Welcome to the website of poet, novelist and critic Steve Noyes. Steve is the author of six poetry collections and three books of fiction, including the novels It Is Just That Your House is so Far Away and November's Radio. Along with info about Steve's books, here you'll find some of his short fiction, essays, and more! "A SATIRIC TOUR DE FORCE FROM ONE OF CANADA'S FUNNIEST, WISEST AND VERY BEST..."
SUNG WITHOUT A FALSE NOTE." "...he is able to vividly render a culture so convincingly — whether it is the world of contemporary Chinese dissidents or that of pharmaceutically numbed bureaucrats — as to allow such satire to develop so powerfully ... genuine peril, genuine emotion." "Noyes' novel is subtly comic, fragmented, understated and dynamic, with episodes shifting about and forming different patterns. ...interpreting their code is part of the challenge Noyes has set"
"An affectionate portrait of China that is honest, intimate and layered, It Is Just That Your House Is So Far Away is a journey into the labyrinth of the human heart where logic has no place ... stay there long enough, you just might learn something about yourself." 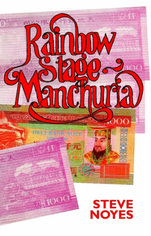 “Imagine Romeo and Juliet in mainland China with upset families, divergent cultures, public disapproval and a suspicious government -- a complicated mess for two ardent lovers." "STEVE NOYES' NEW COLLECTION IS THAT RARE THING IN CANADIAN POETRY: A PAGE TURNER"
""Rainbow Stage," the brilliantly inventive showpiece of the collection, consists of a series of vignettes that tell the story of a fictional prairie rock band called The Next. ...The poet's clear desire to celebrate the music of the era alongside his almost encyclopedic knowledge of rock 'n' roll history is exhibited in fine form..."
“These highly accomplished poems, varied in form and richly textured, include pieces on sheep and slugs, basketball, Chaucer (in Chaucer-ese,) addictions, and his teenage gymnastic daughter." “Noyes is a thinking man's poet and many of his prose poems are chronicles of thought that may fool and subdue the reader with their quiet gestures and lulling voice. But to truly appreciate these poems is to recognize that they arrive from a deep moving place within their maker."